By now you’re probably aware that the Government is making some major changes to the child care benefits families receive. From 2 July 2018, the existing Child Care Rebate and Child Care Benefit will be replaced by the Child Care Subsidy. Read on to find out how it impacts your family and what you need to do to receive the new benefit. The amount of Child Care Subsidy your family will receive will depend on three things: combined family income, an activity test and the type of child care service (see below for more detail). There is no cap on the amount of the subsidy that families earning $186,958 or less can claim. For families earning between $186,958 – $351,248 there is an increase in the current cap of $7,613 to $10,190 per child, per year. The percentage of subsidy you are eligible is based on your family’s annual adjusted taxable income. The number of hours of subsidised care is based on the number of hours of activity you do. Note these hours of activity do not need to coincide with the child care hours used. 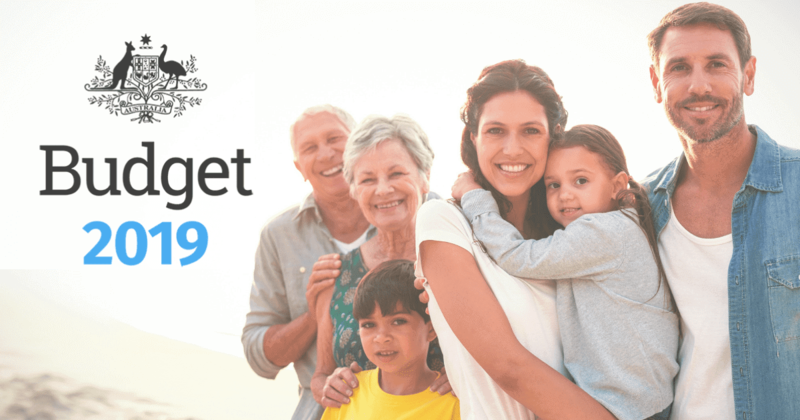 There is an exemption if you earn less than $66,958 a year and do not meet the activity test where you will be able to access 24 hours of subsided care per child per fortnight, as part of the Child Care Safety Net. The maximum hourly rate the Government will subsidise is based on the type of childcare service. The new Child Care Subsidy will affect different households with varying impacts. To see what subsidy you will receive so you can prepare and budget for the changes, visit the Family Child Care Subsidy Estimator. Modelling carried out by Hai Anh La and Jinjing Li of The Institute for Governance and Policy Analysis (IGPA) at the University of Canberra reveals that full-time working parents become better off regardless of their income level under $310,000 for two-parent families, $320,000 for single parents with a non-school aged child and $180,000 for single parents with a school-aged child. Those in the middle-income group are expected to gain most from the new scheme. In some cases where the child care costs deviate a lot from the national average, part-time working parents with low or average wages who are sending their kids into part-time care could become worse off under the new scheme. To ensure you receive the new Child Care Subsidy, it’s important that you complete an online Child Care Subsidy assessment using your Centrelink online account through MyGov before 2 July 2018. Note that if you do not complete your assessment before this date, you may not receive any child care fee assistance.